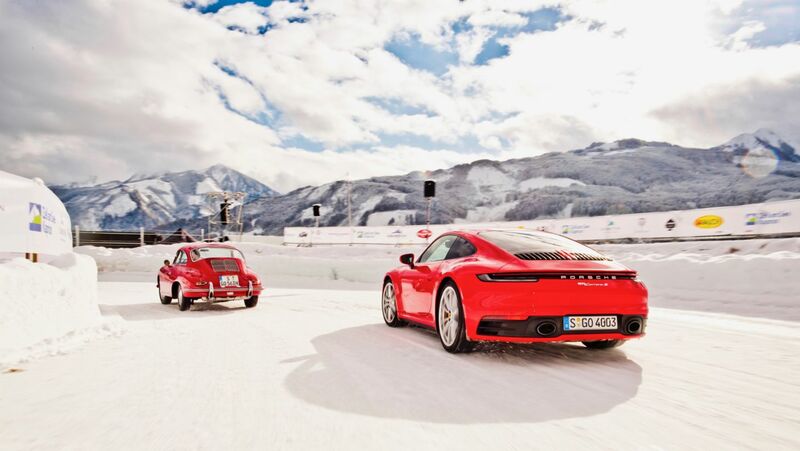 Porsche has presented the new 911 on snow and ice. After the world premiere at the Los Angeles Auto Show at the end of November 2018, the eighth generation of the sports car icon was presented at the Areit-Alm high above Zell am See in Austria. It was the first appearance of the vehicle away from a motor show. For this, a helicopter flew the new 911 to the Alm, which is located at an altitude of 1,408 metres. The presentation was accompanied by Dr. Wolfgang Porsche, Chairman of the Supervisory Board of Porsche AG, Albrecht Reimold, Member of the Executive Board responsible for Production and Logistics, the brand ambassadors Walter Röhrl and Mark Webber as well as the works drivers Timo Bernhard and Richard Lietz. 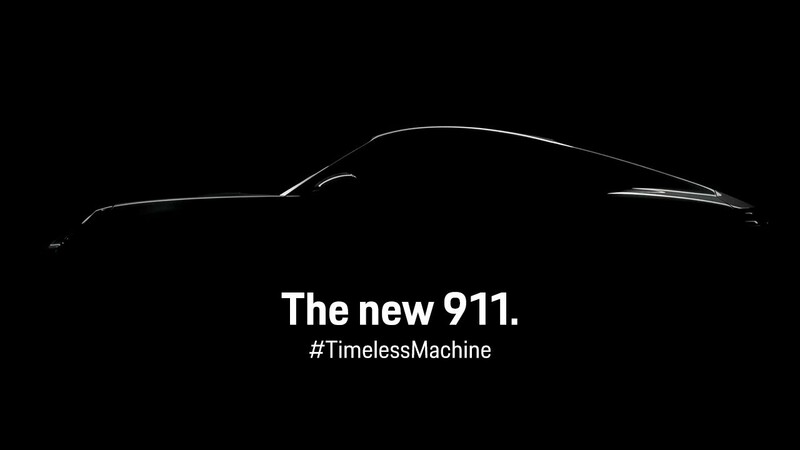 The new 911 will also set standards in the future in terms of exclusive sportiness, and unmistakably features the Porsche design DNA. Intelligent control and chassis elements as well as innovative assistance systems combine the uncompromising dynamics of the classic rear-engine sports car with the demands of the digital world. The now launched Carrera S models are equipped with further developed flat-six turbocharged engines producing an impressive 331 kW (450 PS; 911 Carrera S: Fuel consumption combined 8.9 l/100 km; CO2 emissions 205 g/km; 911 Carrera 4S: Fuel consumption combined 9.0 l/100 km; CO2 emissions 206 g/km). The power is delivered by a newly developed eight-speed dual-clutch transmission. 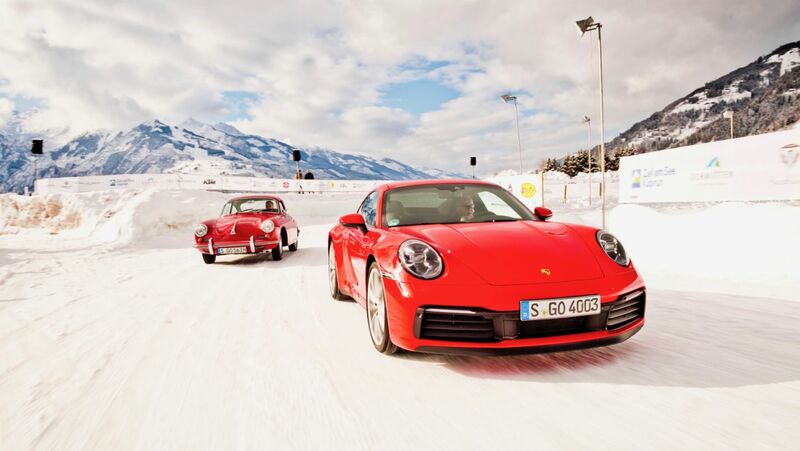 Both S models beat the four-second mark for acceleration from zero to 100 km/h: with the optional Sport Chrono Package, the rear-wheel-drive Coupé needs just 3.5 seconds, while the 911 Carrera 4S with all-wheel drive completes the sprint in 3.4 seconds. 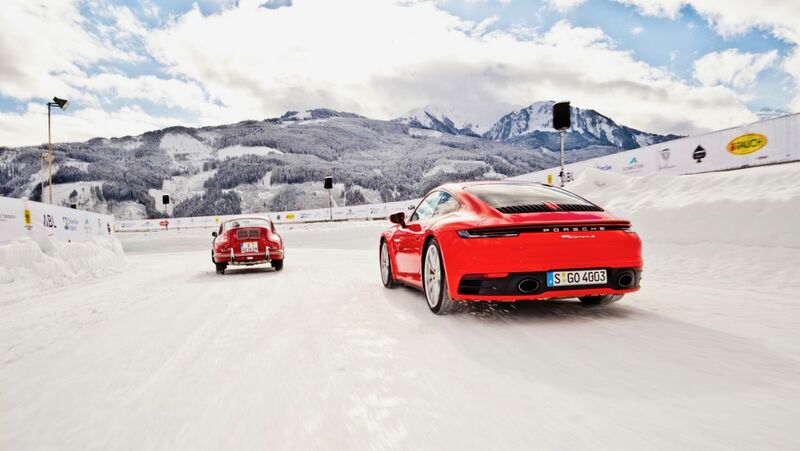 The top speeds are 308 km/h (911 Carrera S) and 306 km/h for the all-wheel-drive version. The 911 Carrera S costs from 120,125 euros in Germany, the 911 Carrera 4S from 127,979 euros; the corresponding Cabriolet variants are available from 134,405 euros or 142,259 euros respectively. The prices include value-added tax and country-specific equipment. Porsche Design is honouring the new generation of the 911 with a strictly limited special-edition watch: the 911 Chronograph Timeless Machine Limited Edition. Like the legendary sports car, the chronograph impresses with purist design, uncompromising functionality and absolute performance. The chronograph will be available from April 2019 at a price of 4,911 euros (RRP) in Porsche Design Stores, Porsche Centres, specialist shops and also online at www.porsche-design.com. The presentation took place before the “GP Ice Race” in Zell am See. This is the new edition of the ice race held from 1937 to 1974. 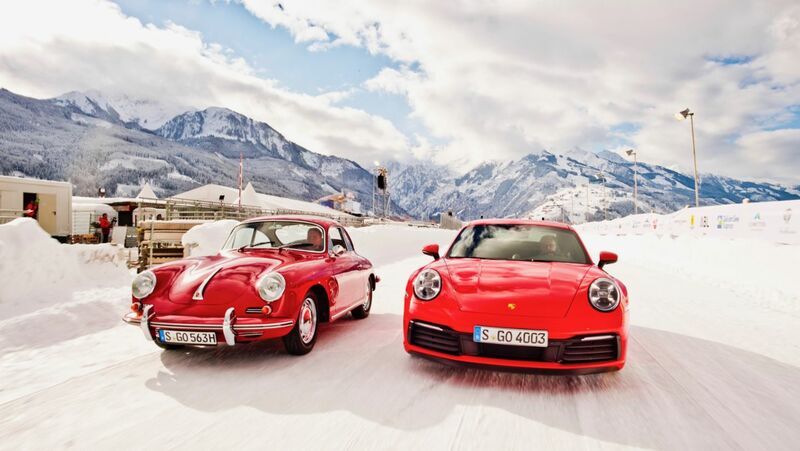 The event, which is taking place this Saturday and Sunday at Zell sports airport, offers spectators plenty of motor sports action with historic and current race and rally vehicles – including numerous Porsche models. 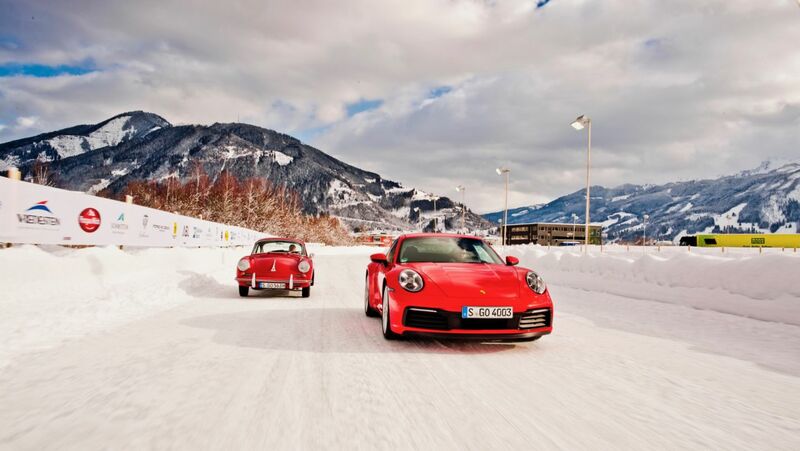 The around 130 participants who will drift around the 600-metre long ice track include the Le Mans winner Hans-Joachim Stuck as well as the Porsche brand ambassadors Mark Webber and Walter Röhrl. The legendary “Ice Race” will be revived. Porsche motorsport legends will get behind the wheel. Six weeks after the Coupe’s launch, attention turns to the Porsche 911 Cabriolet. New 911: Stronger. Racier. Sharper. 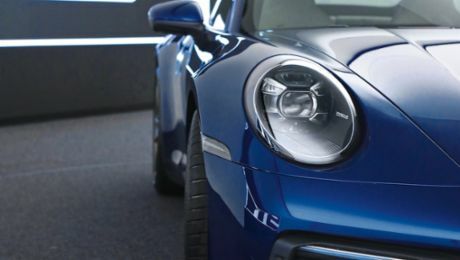 What are the special features of the new 911? Porsche designers Peter Varga and Ivo van Hulten explain.